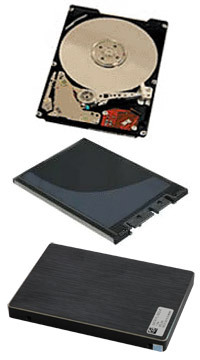 Any on the marked available 2.5" Serial ATA (SATA) disk can be installed in the MPL solutions. We however recommend to use rugged disks that are designed for 24/7 operation and also capable to operate in extended temperature (-30�C to 85�C, SSD -40�C to +85�C). 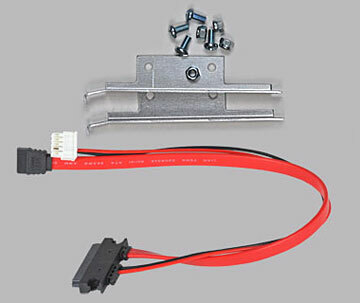 SATA disks are being installed with a specific MPL designed SATA-KIT , to provide the best cooling. MPL also offers a solution allowing to remove the disk without opening the housing (SATA-Remove), as well as RAID solutions (HS-RAID). Let us know what you require in your application and what size of mass storage device you need. Any on the marked available 2.5" Parallel ATA (PATA) disk can be installed in the MPL solutions. We however recommend to use rugged disks that are designed for 24/7 operation and also capable to operate in extended temperature (-30�C to 85�C, SSD -40�C to +85�C). PATA disks are being installed with a specific MPL designed PATA-KIT , to optimize the cooling. Let us know what you require in your application and what size of mass storage device you need. Any on the marked available DoC can be installed in the MPL solutions. We recommend to use rugged DoC that are designed for 24/7 operation and capable to also operate in extended temperature (-40�C to 85�C). The DoC are being installed either direct to the on-board connector or with a specific MPL designed KIT. Let us know what you require in your application and size of DoC you need (1GB up to 16GB). All our CECs offer soldered memory for very rugged applications and all solutions also have a socket for expansion of the on-board RAM. Depending on the product, we offer DDR, DDR2, DDR3, ECCRAM, .... You may refer to the actual CEC product page to see the various options. All our memory modules are specifically tested in our climate chamber to make sure they withstand -40�C to +85�C temperature.